Luxury of Lionel Messi that causes furore on social networks. The video was recorded during the filming of a Pepsi Soda advertisement. It already has more than 16 million views. “It’s just an advance…” said Lionel Messi in the publication of his Instagram account that shows his incomparable talent. It is part of the campaign of a famous soda, which prepares a notice full of football stars and of course the best of all could not miss. In a matter of minutes, the short clip added millions of views and thousands of comments from its fans surprised by his magic. The crack of Barcelona was shown in a publicity clip. 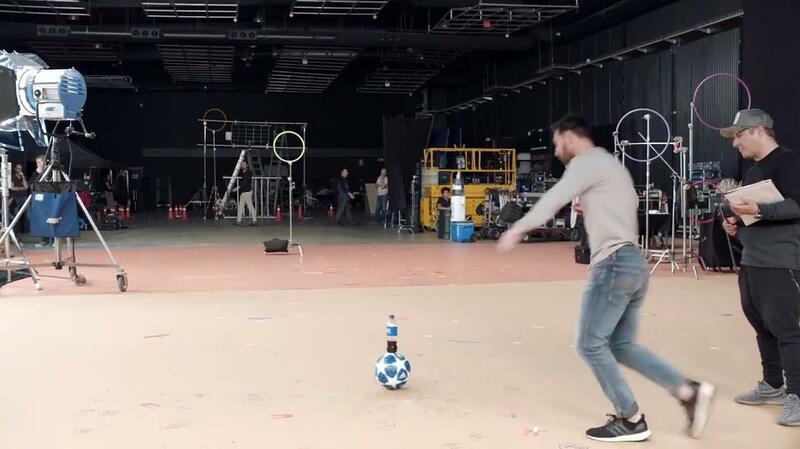 In the video that lasts just 20 seconds, the crack of Barcelona grabs a bottle of soda and supports it on a ball. In the background you see the technical team preparing everything to record the commercial and a small hoop supported a few meters from where the Ten is. The soda goes flying up, it spins in the air and falls on its feet. Messi takes a few steps away, accelerates and delicately hits the ball, which passes through the basket, marking the great precision of the striker. 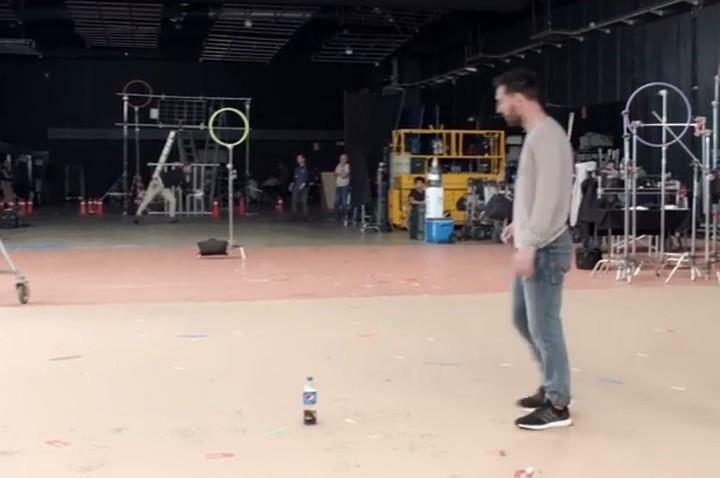 But in addition, while the ball travels through the air, the Pepsi plastic bottle flies upwards, spins in the air and falls on its feet. Canchero and proud to have met the challenge, Leo bends down, grabs the bottle, turns and looks at the camera with a huge smile. The pure talent of crack caused a furore in social networks. 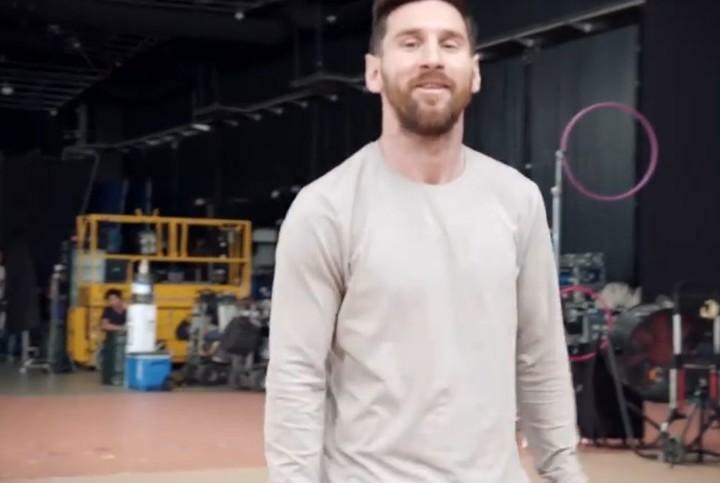 In less than 24 hours the short clip already accumulates over 16,022,009 views in Messi’s Instagram account. In addition, it added more than 120 thousand comments. The brand that prepares a large commercial full of soccer figures also presented on Friday a video of Mohamed Salah, showing his talent. There is already great expectation to see the production that is being recorded. As Josep Maria Bartomeu, the club president told the BBC exclusively that the club has begun to face the preparations for the moment when Messi announces his farewell to the courts. It should be remembered that the Ten has a contract until 2021 with the Blaugrana club, with a termination clause of US $700 million. What is the idea then? Bet on young promises such as Arthur, Ter Stegen, Dembelé, Lenglet, Coutinho, De Jong and Todibo.